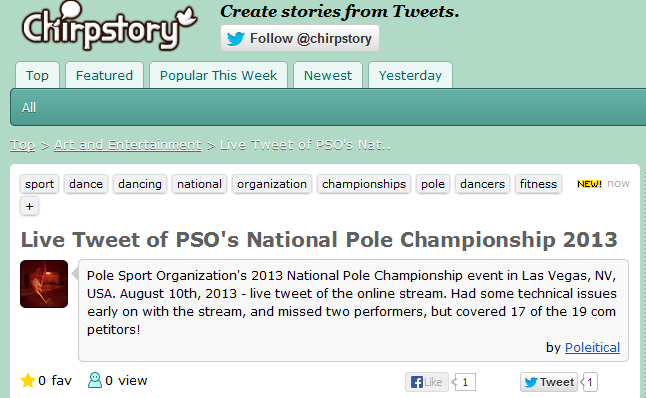 Did you all get a chance to watch the live stream of PSO‘s National Championships? I was so bummed to not be there in person, but it was nice that UPA had the stream for everyone! The performances were so fun – it’s always interesting for me to watch pole dancers of that caliber and see what speaks to me. I love character driven pieces – they stand out for me, always. That’s one of the reasons I was overjoyed when Sergia won! She’s one of my favorites. Congrats to Sergia (1st), Danielle (2nd), and Mary (3rd) on their wins, and to ALL of the competitors from last night. It takes a lot of guts to go up and perform in front of so many people, and under such high stakes! You did us all proud!